What a night for classic rock fans in Camden, NJ! Right across the Delaware River from Philadelphia, PA is a large stadium with some seating under roof and a lot of lawn seating. The weather was perfect for seeing a concert under the stars. Cheap Trick started the show at 7:00 PM. With all the original members looking in great shape, they sounded even better. Though Rick Nielsen didn't use his "looks like himself" guitar, he did use a wide variety of unique axes including the 5-necked guitar. Bun E. Carlos looked stronger than the last time I saw him. He must have quit smoking because he didn't do his trademark playing while puffing a cigarette. Tom Petersson played his 12-string bass to complete the melodic rhythm section. Robin Zander's voice was in fine form, too. 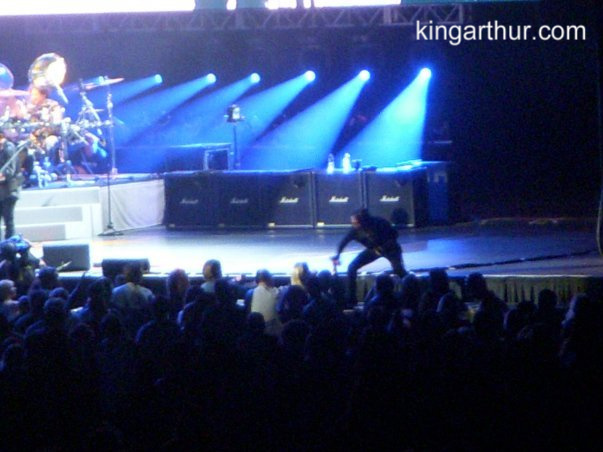 Rick was energetic as he pounced about the stage tossing out guitar picks. Several times during the show he would throw out a handful. They came in a wide array of colors and were all specially printed with Cheap Trick logos and Rick's autograph. Occasionally, he'd go back to tweak the custom stack of amplifiers. Sometimes he would step up to the lead microphone to chat with the crowd. During one point in the show, he invoked Tom to recant the time they lived in Philly and invented the 12-string guitar at the Smedley Street Music Store. The only complaint about the set -- it was too short. That being said they did manage to cram in a heck of a lot of superb music into a short period of time. For an encore, they brought out Jonathan Cain (The Babys / Journey) to play keyboards on Dream Police. 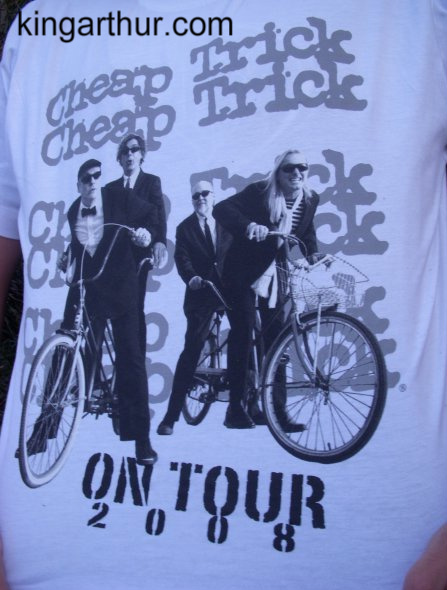 Of the groups that played, Cheap Trick ended up being the best "band." All the members gelled as one perfect organism. Heart, though aged, hasn't mellowed. They really kicked it out. The first song in their set I did not recognize. What followed was hard rocking rock. Even the power ballads (that I've never been a fan of) came off with a hard edge. 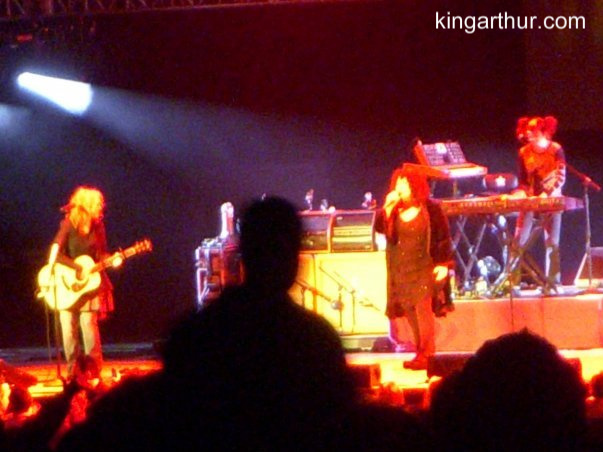 Ann Wilson's voice was powerful. Nancy Wilson's harmonies blended only the way a sister's voice can. As a long time fan of guitarist and keyboardist Howard Leese, I was pleasantly surprised by his replacements, Craig Bartock on guitar and Debbie Shair on keyboards & synthesizers. Nancy took lead vocals on These Dreams. Besides splendid guitar work, she also played mandolin and harmonica. Though they didn't even get to play all the favorite original songs, you wouldn't have wanted to miss the addition of two cover songs, The Who's Love, Reign O'er Me and Led Zeppelin's Going To California. Both were crowd pleasers with Love, Reign O'er Me shaking the Earth like a quake. Nancy continually beamed a big smile throughout the show, dancing, kicking and jumping about. Also very enthusiastic was Debbie. At times, she appeared to be from another planet. Almost all the songs were serious rockers, but Crazy on You quite possibly converted a whole new generation into die hard Heart fans. It could be said everyone in the crowd had a heart attack. 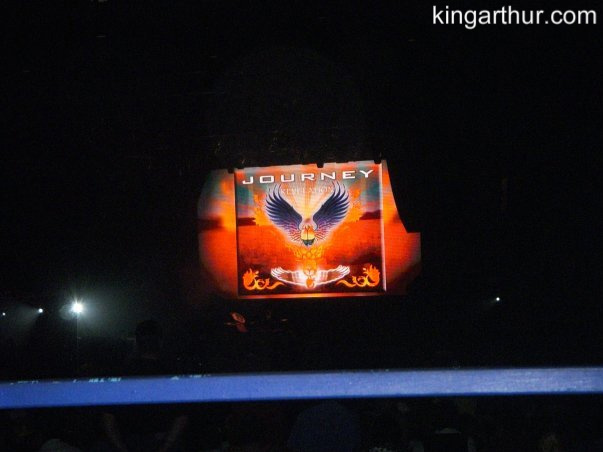 A long time fan of the Babys, as well as, considering Neal Schon one of the greatest guitar players of all time, it was disappointing to witness Journey. The first half of their set was so lame that I tried to escape. Held back by some kids that wanted to stay, I endured. Luckily, they redeemed themselves with a solid version of Wheel In The Sky followed by sing along song Don't Stop Believing. Neal and Jonathan both played to near perfection. Singer, Arnel Pineda, was fun to watch. But, the overall sound quality was poor and the endless power ballads were monotonous. Fortunately, Cheap Trick and Heart made up for any short comings for this rock event.